On the third day of Lollapalooza I had the great fortune of seeing The Joy Formidable! They were great! I had not intention of seeing this band but in the true spirit of Lollapalooza, a friend said you have to see them and we did. They put on a great show and the talent in the band was clear. It was funny to note that after I got back from Lollapalooza Mikel Joliet, of The Airborne Toxic event, mentioned on Twitter that The Joy Formidable's Cradle was a like a punch in the face! How appropriate. check out The Joy Formidable - The Big Roar or better yet catch them live! 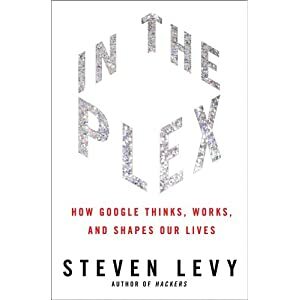 I just finished the book In The Plex: How Google thinks, works, and shapes our lives. It was a great read through the history thought process and general process of how Google works. It is the most recent book on Google and it might be the best. Steven Levy has a solid understanding of the significant events in Google's history and why they did what they did. His stories of how things happen at Google give the reader a frank view of things from a Googler perspective. Of the books I have read so far for this challenge In The Plex and Re Work are my favorites. 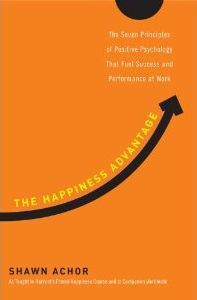 I finished The Happiness Advantage by Shawn Achor. I thought it was going to be a don't worry be happy style of self help book. I was pleasantly surprised by data the author presented. The author presents that the basic thinking on the pursuit of happiness is broken. That success does not lead to happiness but that happiness leads to success. The science behind this is presented from several studies around the world. The author presents 7 principles to help the reader take advantage of the science behind the Happiness Advantage. This book is an excellent read. 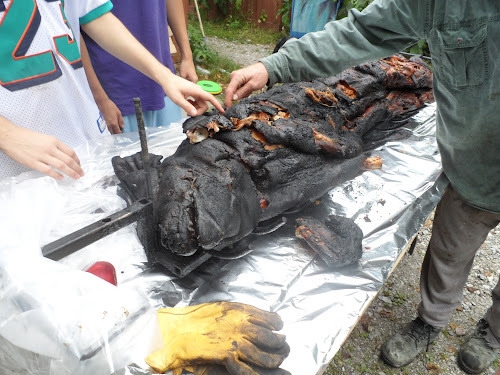 This weekend I went up to my sister's house this weekend where she boasted a pig roast. We roast two pigs got no sleep and had a bunch of people over for the BBQ. It was a great time, I miss sleep. I was concerned about what Lollapalooza and my family vacation immediately afterwards was going to do to my over all weight loss timeline. Well when I got back and weighed in I was down. I lost weight while out and having fun, I did do a lot of walking. As of Saturday I am down 106.6 pounds since Christmas. I was very heavy when I started and still have a long way to go but I am excited about where the next 6 months are taking me. If you are trying to lose weight try slowcarb! One of my new favorites is Foster the People. They came in in the blistering sun and put on a great show with lot of energy. They played everything from their Torches release. I really liked Chin Music for the Unsuspecting Hero, Call it what you want, Life on a Nickel, Pumped Up Kick and Helena Beat. The crowd for Foster the People was the biggest of any of the early afternoon bands all weekend. Check them out and grab a copy of Torches. Sorry for the long delay in posting more updates. 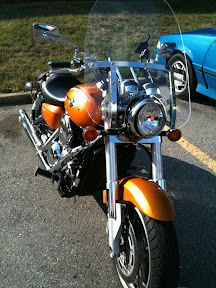 I have been driving and vacationing, and generally causing havoc where ever I go. Coming soon... Book review the Happiness Advantage, Diet update (Slowcarb rocks), and many more updates and pic's from Lollapalooza. After Grouplove I hit the VIP grabbed a drink and went to see Walk the Moon. Again another great sounding band. Walk the Moon had a solid performance with songs I Can Lift a Car, Jenny, I want I want, Lisa Baby and Anna Sun. The party was fully engaged by Walk the Moon! Check them out! Grouplove came on stage at 12 just as I was rolling up to the stage. Perfect. They are a fun up beat party band, it was great! Lot's of fun with songs like Gold Coast, Don't Say Oh Well, Naked Kids and Colours. Started the day of just right! Well the headline we saw Friday night was Coldplay. Now after seeing them live in a fantastic venue like Lollapalooza I can truly say I like Coldplay! I can't believe I am saying this but they rocked! Played a bunch of hits and kept the party going! An unbelievable night! I saw A Perfect Circle Friday afternoon the crowd was great and they put on a great show. My friends like them more then I do but the show was excellent! I can't tell you how much fun I had. Met this nice girl in the lounge. I started talking to her because of her unusual Tat. The grim reaper! Can you see the blood on the end of the scythe? I caught The Naked and the Famous from the Lolla lounge. The Lolla lounge is awesome but the view of the stages leave a lot to be desired. Either way I enjoyed The Naked and Famous, but it would have been better if I had been out in the crowd but after standing in line for hours in the blistering sun I need shade and drinks to get from I hate lines mode, to yay I am really here mode! After catching the tail end of Young the Giant's My Body, we headed over and caught The Naked and Famous, but I wasn't in full Lolla mode until Delta Spirit hit the stage. While there sound isn't for every one, I love it and they rocked! With songs like Bushwick Blues, White Table, Strane Vine, People C'mon the set was excellent and really kicked off my Lolla experience. I will see them again and I am hoping to grab a Delta Spirit shirt today. Friday we got up at 5 and were on the road by 6. 5 1/2 hours later we rolled into Chicago. Finally got settled and headed down to pickup our tickets which didn't arrive via courier. After standing 4 separate lines and missing Young the Giant ( which everyone tells me was awesome). That was very frustrating but once we got sorted out we finally arrived. On the road to Lollapalooza, first stop Cleveland. 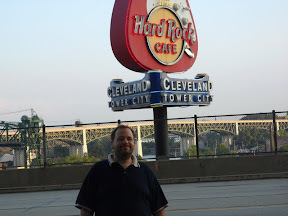 The plan was to visit the Rock and Roll Hall of Fame, but it closes at 5:30. We ended up going to the hard rock cafe for a nice dinner and a couple long island iced teas. Afterwards we visited a few local establishments and have to say even though it was Cleveland Beer Week, most places were empty. So unfortunately this Thursday night Cleveland does not rock. I finished The Grand Design by Stephen Hawking while I was on vacation. It is an interesting history of quantum physics and the the concepts behind M-theory the current fore runner for the Grand Unifying Theory. It is insightful and gives the reader a layman's understanding of modern day physics, multiverse theory and in the end it points out that new evidence suggest that a Grand Unifying Theory may be unrealistic. I would recommend it to those who are curious about the subject but do not have a background in quantum physics. If you aren't curious go read something else. After a few minor adjustments my bike is ready for Lollapalooza. There maybe a bunch of Lolla based posts from Thursday on with pics etc. More book reviews and diet updates coming soon.